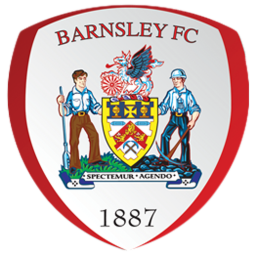 Barnsley Football Club were formed in 1889. 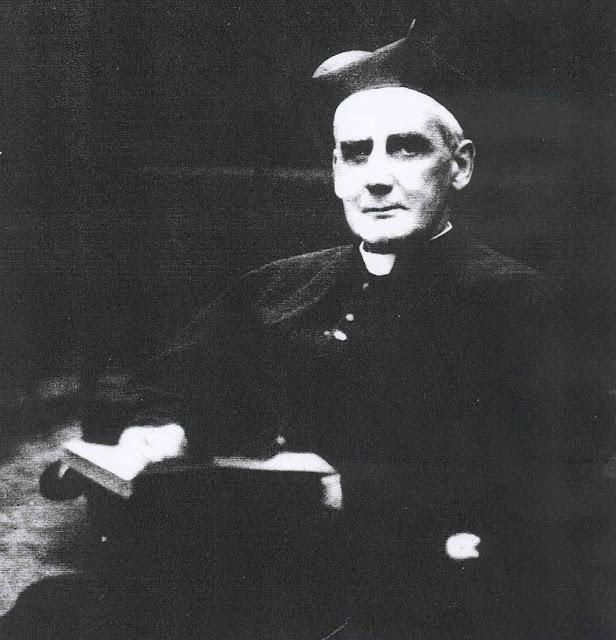 They were known as Barnsley St Peter's and were founded by Reverend Tiverton Preedy in an area that had previously been a rugby focused area. 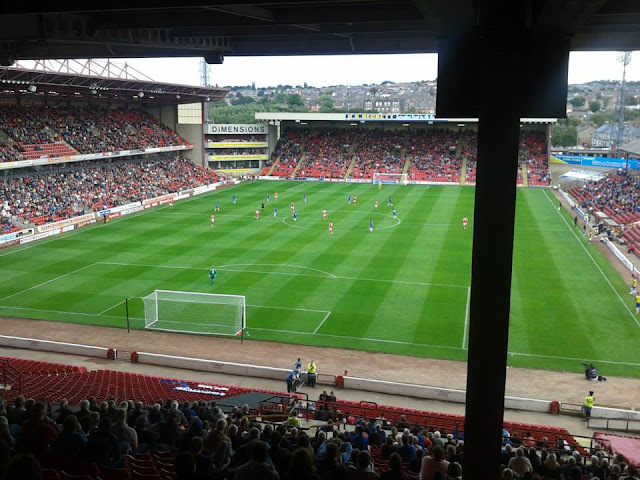 A year later they moved to Oakwell, and in 1897 the club were renamed to Barnsley Football Club. The club's 1st success was the FA Cup in 1911-12. 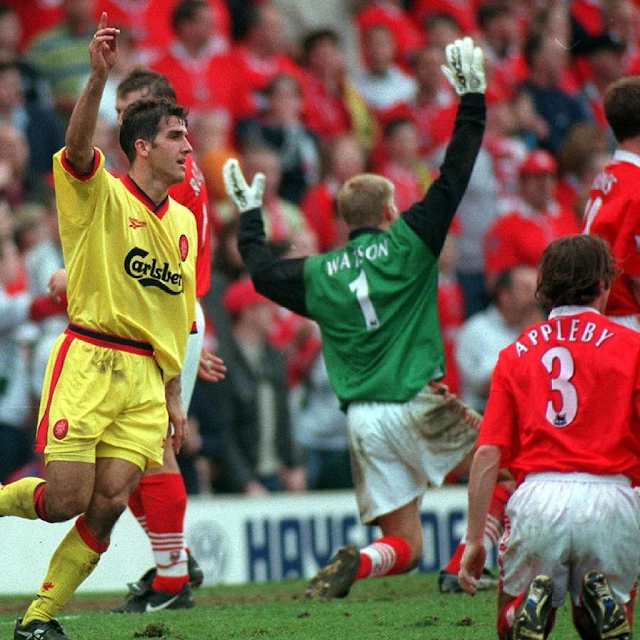 2 years before that they had got to the final losing the replay to Newcastle United at Everton's Goodison Park. 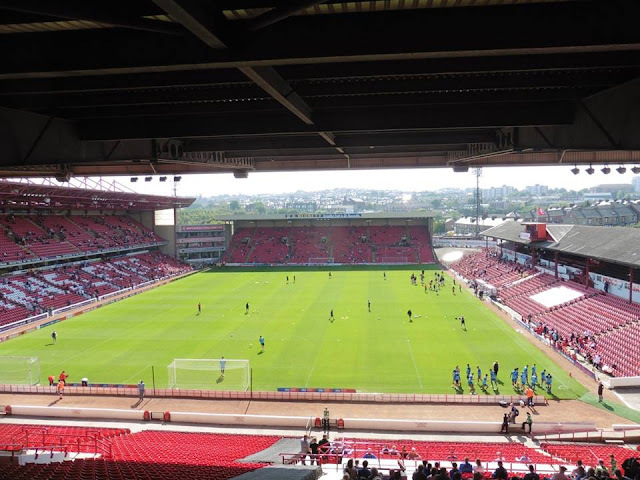 They beat West Bromwich Albion in a replay at Sheffield United's Bramall Lane in extra time 1-0, with Harry Tufnell scoring on 118 minutes. 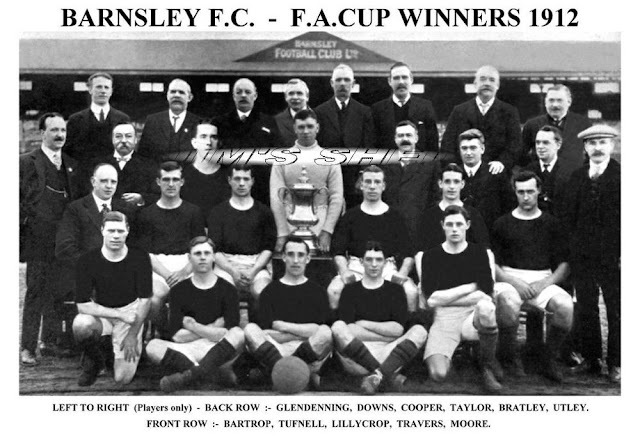 In the pre-war and post-war era, the club came close to promotion to the top flight in the early years. 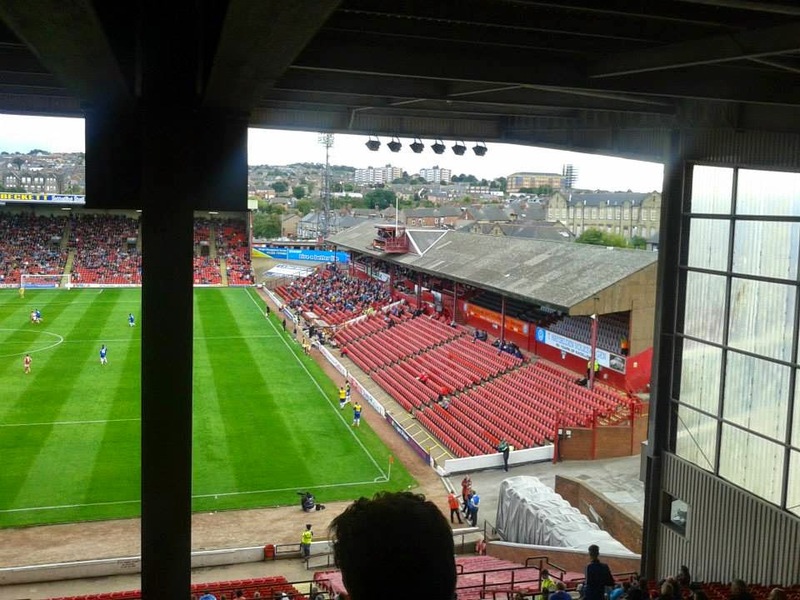 In 1922, they missed out on promotion by a single goal. 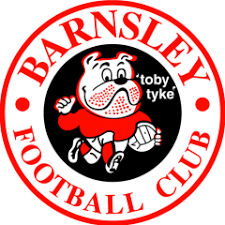 When the Northern and Southern sections of the Third Division were replaced by national Third and Fourth Divisions for the 1958-59 season Barnsley were in the Second Division but went down to the Third Division at the end of that season. 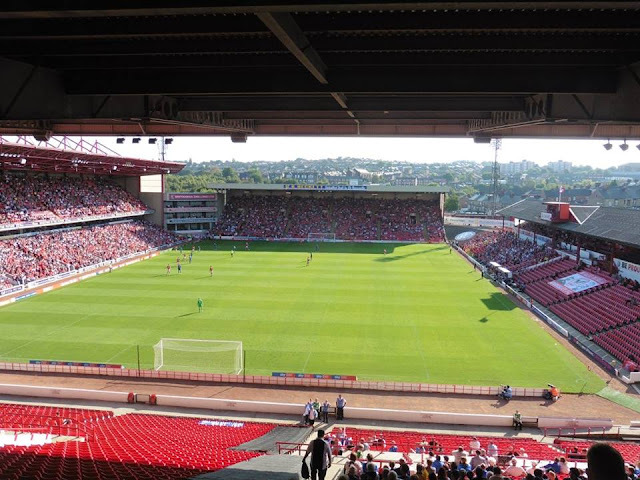 At the time of the creation of the FA Premier League in 1992, Barnsley had been Football League members for 94 years but still had not reached to the top flight of football. 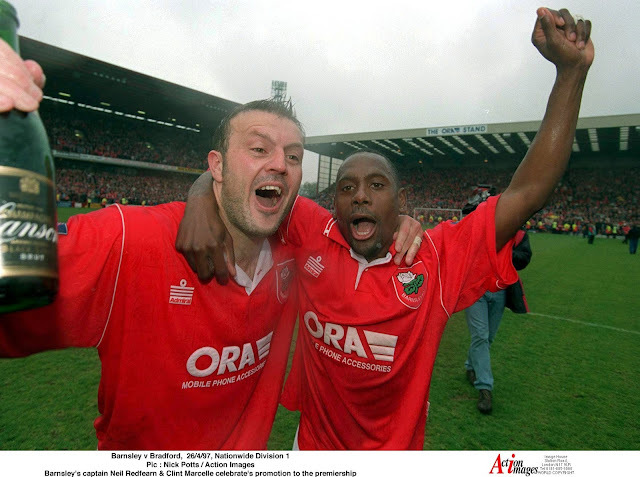 They finally won promotion to the Premier League in 1997 becoming runners-up on 80 points under boss Danny Wilson. 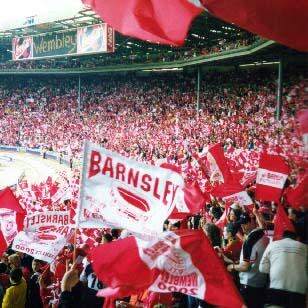 Barnsley only managed 1 season in the Premier League but didn't go down without a fight, reaching the Quarter Finals of the FA Cup losing out to eventual finalists Newcastle United 4-1. 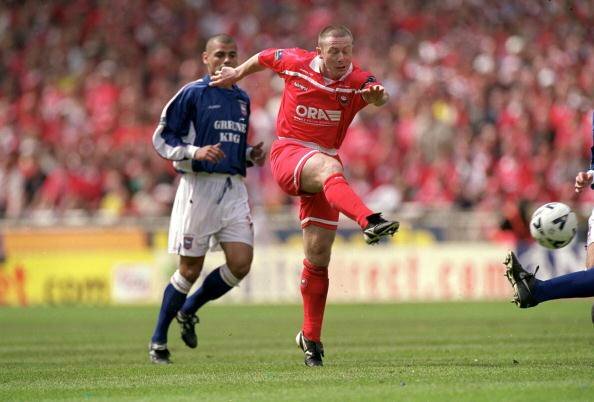 After Dave Bassett took in charge of the team in 1999-2000, he led the club to 4th place in Division One, but just narrowly missed out on promotion to the Premier League losing to Ipswich Town at Wembley in the Play Off Final. 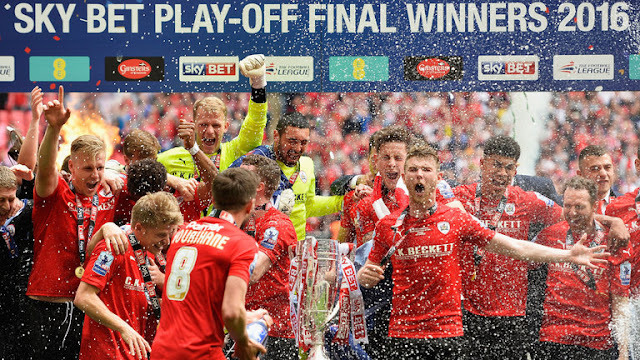 2016 was a good year for Barnsley, winning 2 trophies at Wembley. 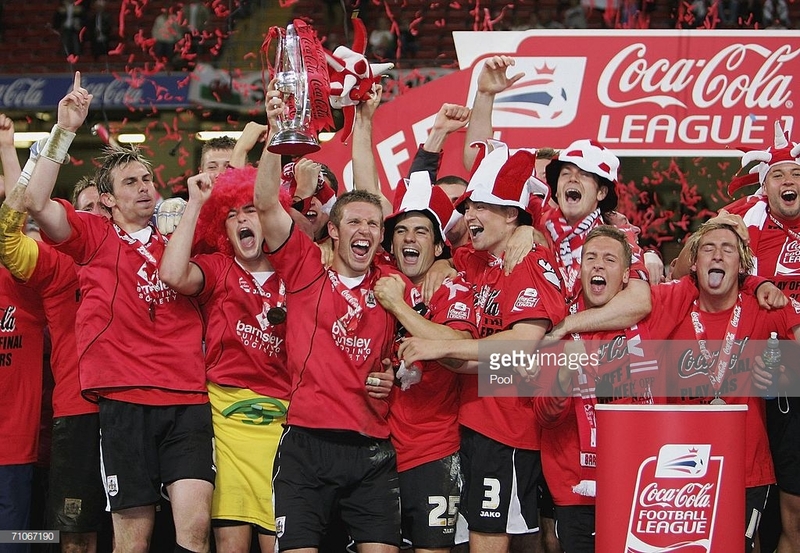 1st one being the Football League Trophy, beating Oxford United 3-2 and the Play Off Final beating Millwall in the Final 3-1. 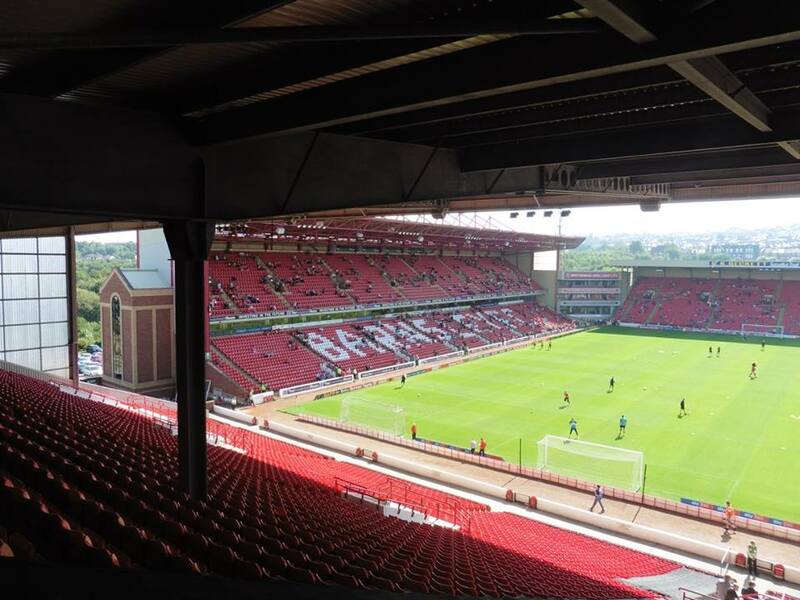 Famous fans are known to be retired international cricket umpire Dickie Bird, retired cricketer Darren Gough and Michael Parkinson. 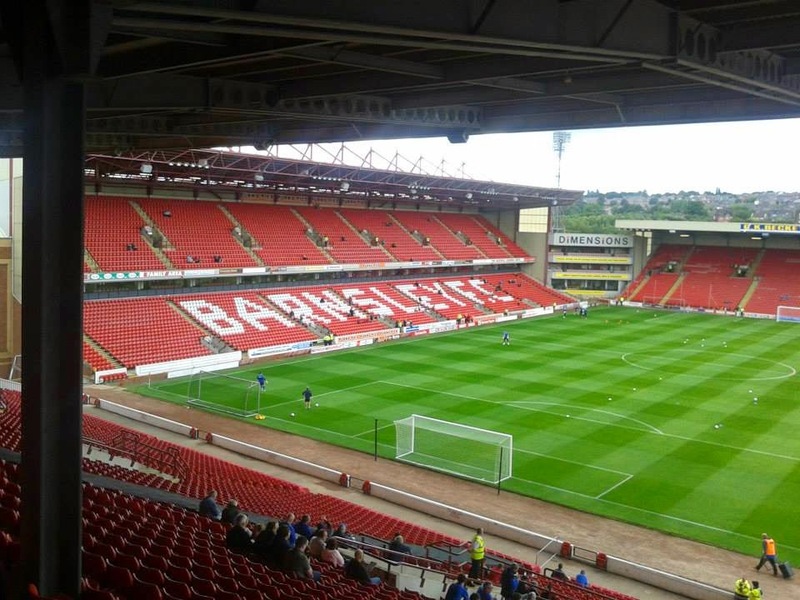 Notable people from Barnsley itself are, Music group The Artic Monkeys studied at Barnsley College, actress Katherine Kelly, actor Shaun Dooley and retired sprinter Dorothy Hyman to name a few. 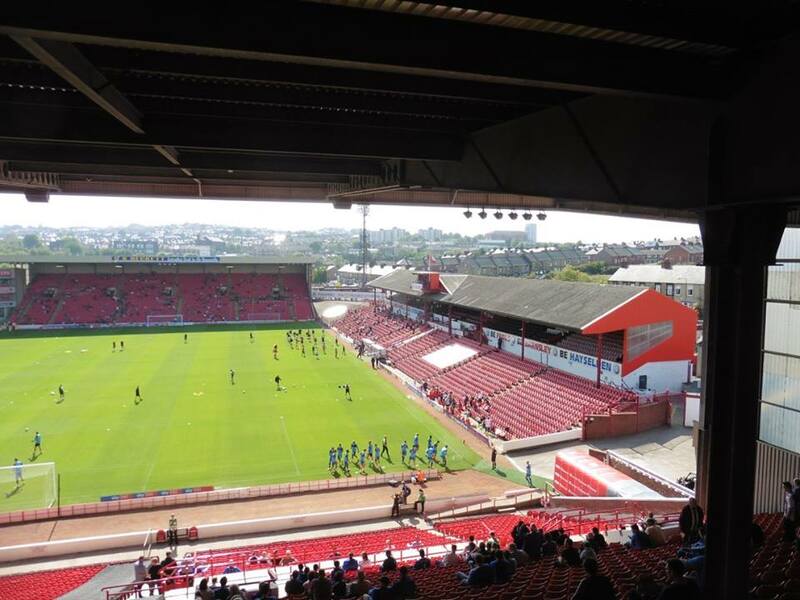 Barnsley have been playing at Oakwell since 1888, a year later when they reformed. 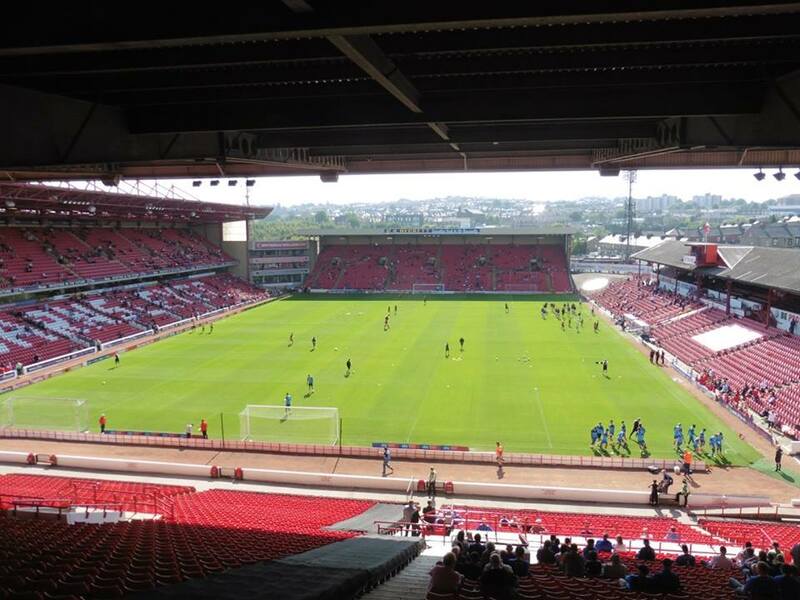 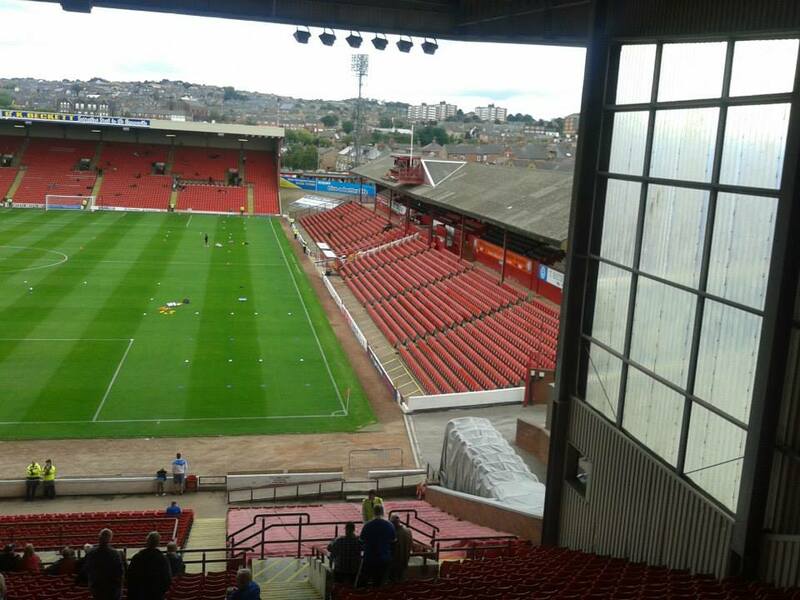 Oakwell has a capacity of 23,287 with away supporters allocated in the modern North Stand which is behind the goal. Up to 2,000 tickets can be allocated although if needs be, it can be increased up to a number of 4,700 depending on the following. 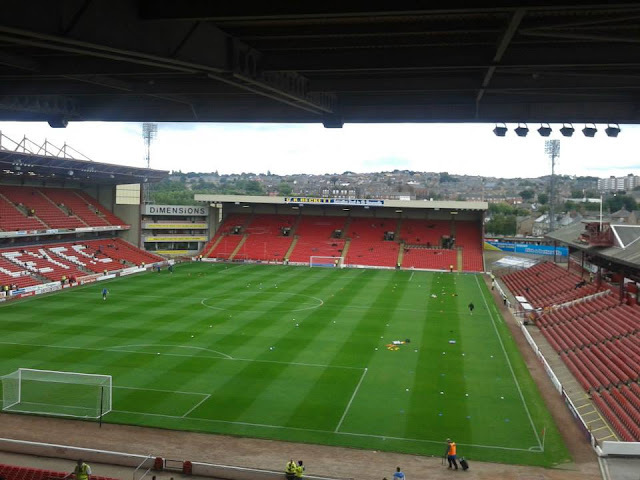 Barnsley train station is around a 10 minute walk from the ground. 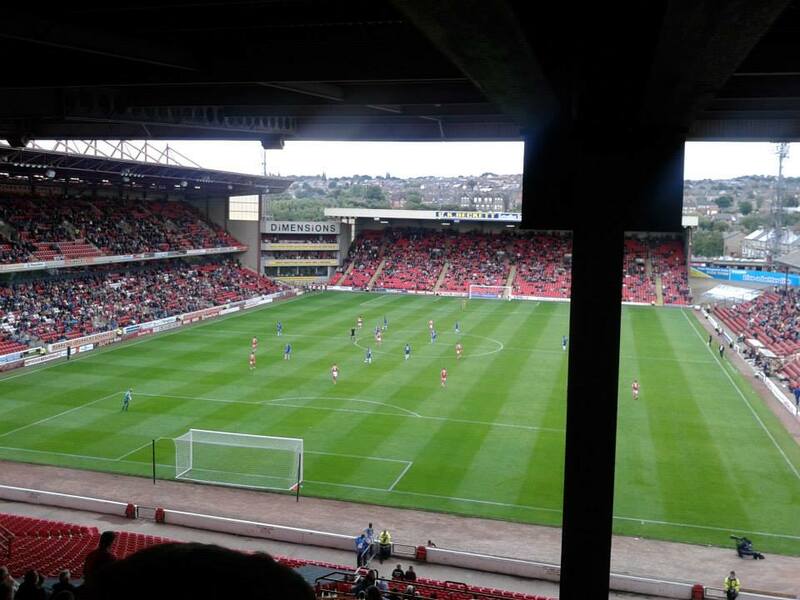 My 1st visit to Oakwell came in August 2014. 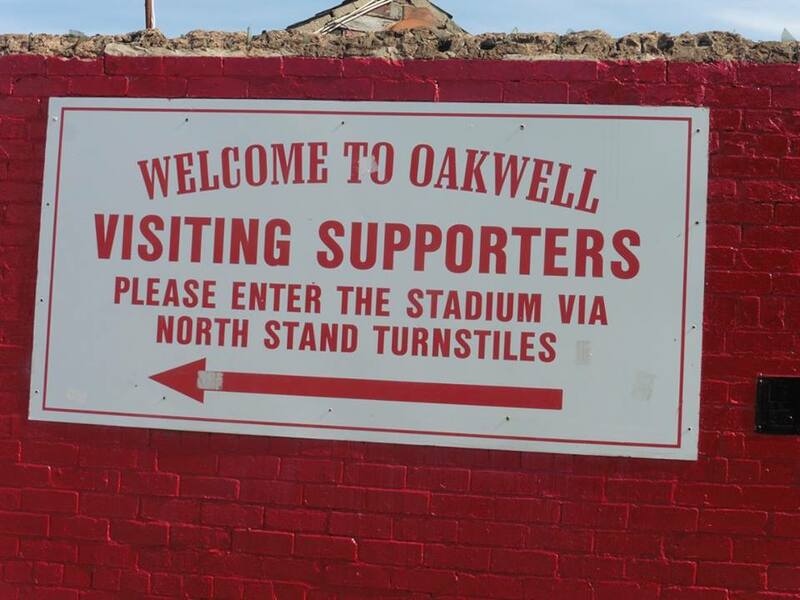 It was a ground Gillingham don't usually do well at, having last won at Oakwell since the late 60's. My 1st visit there I went on the coach. 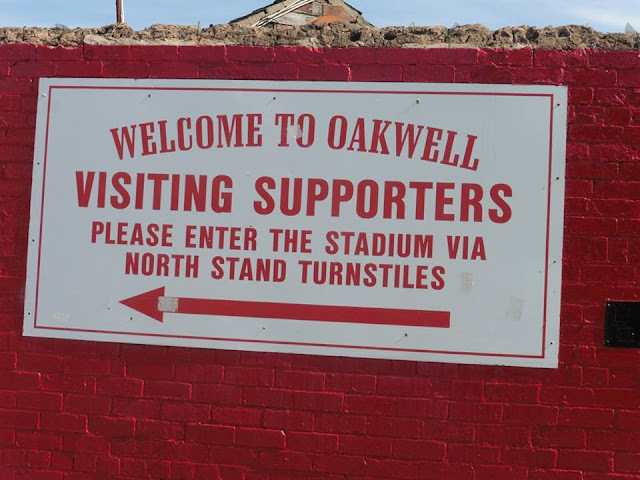 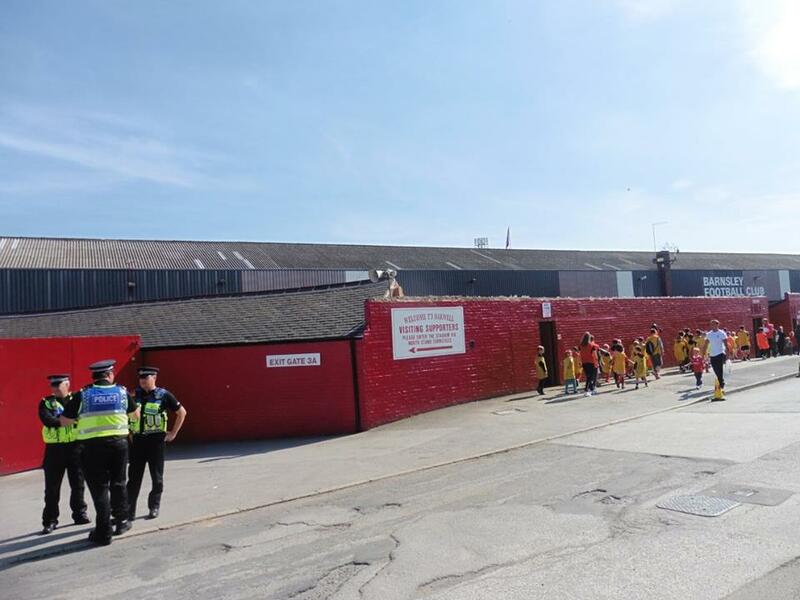 The winless run continued with a 4-1 trouncing at Oakwell and afterwards as we were coming away from the ground, annoyingly few of the local youths deciding to spit at the coach which wasn't at all great. 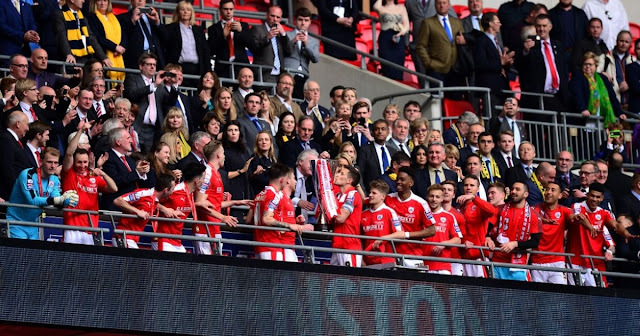 I don't remember too much from that day except from that really! My 2nd visit to Oakwell came in the 1st of September 2018. 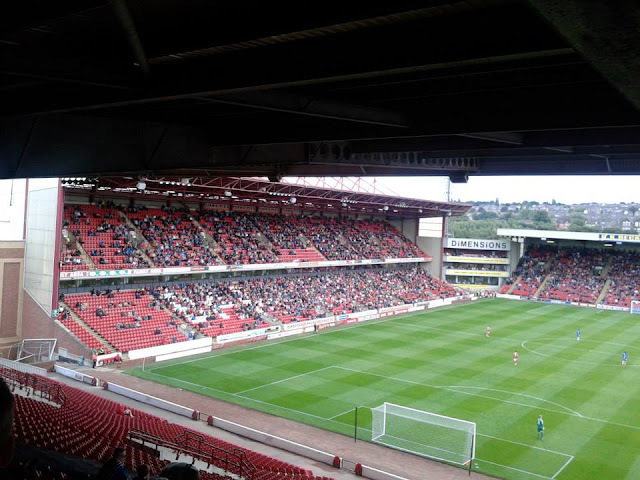 I had previously only been the once which was a 4-1 drumming in the hands of the Tykes in 2014, which saw Danny Kedwell get a consolation penalty. Before Saturday came, I knew our record at Oakwell in years hadn't been great, but discovered our last win at Oakwell came in 1968, a 1-0 win. So I hadn't feeling optimistic coming into the game, plus we had been without a win in 4 games of all competitions. 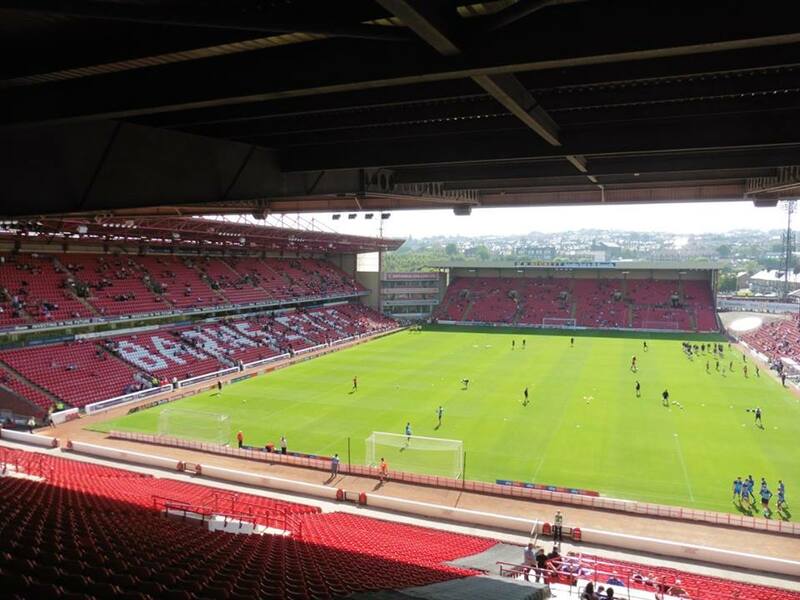 So doing a bit of planning on Thursday night for Barnsley away, I discovered there was a Northern rail strike going on with fewer trains, earliest train I could get from Sheffield is 13.45 which arrived into Barnsley at 14.11 which wasn't too bad but not ideal. 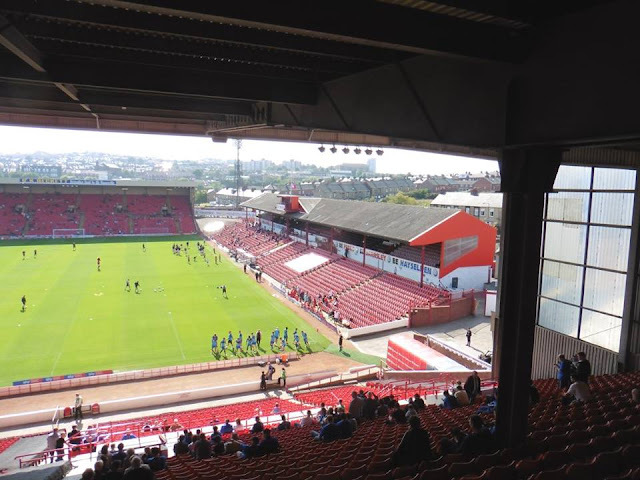 After leaving home shortly after 9am, I arrived into London just before 10am. 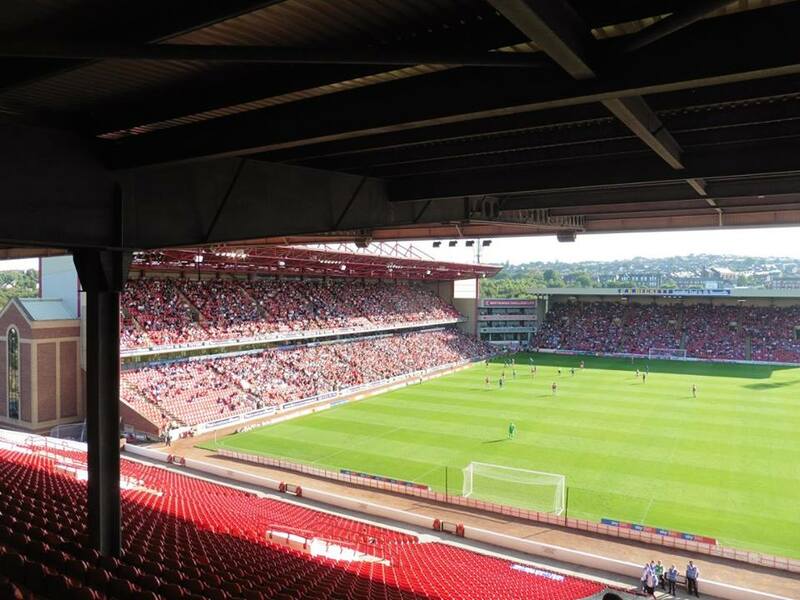 After grabbing a McDonald's breakfast and putting bets on, with a short tube train to King's Cross St Pancras, I left St Pancras on the 11.02 train and arrived into Sheffield just after 1pm. Was nice to see another Gills fan in Sheffield and I recognised him through Facebook on the Gills forums as well in the name of Paul, having a chat with him on the train to Barnsley and also seeing Fuming Steve or otherwise known as Bag Man Steve get on at Meadowhall as a few Gills fans went via King's Cross - Doncaster way. I arrived to the ground just before 2.30pm with a short walk from the station to the ground. The game itself wasn't the best as I expected. 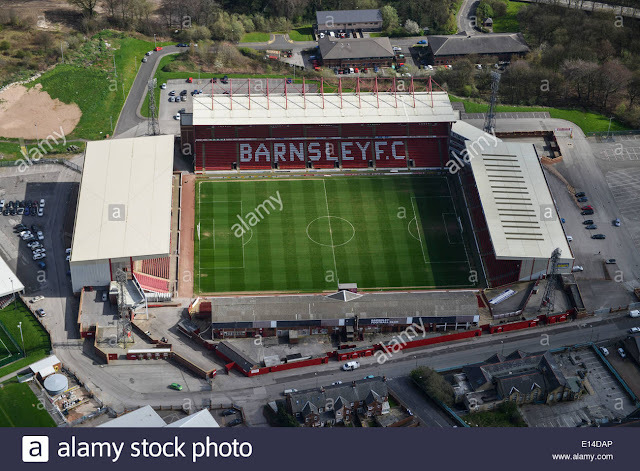 Barnsley took the lead on 13 minutes from Kieffer Moore a player I fairly knew in his Rotherham days, weren't a bad finish but I felt our keeper Tomas Holy could have done slightly better. 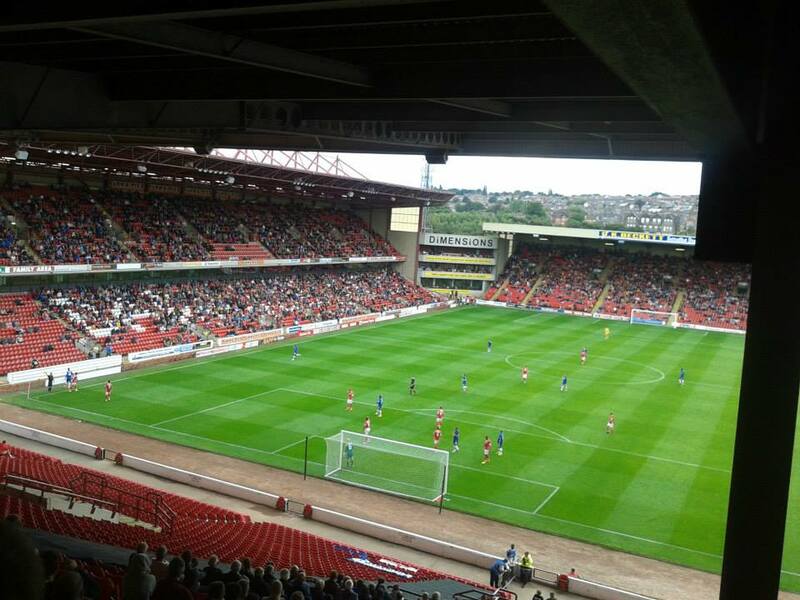 Barnsley doubled the lead 20 minutes later through a penalty which shouldn't have been and was fairly soft. Even reading on Twitter some Barnsley fans felt it wasn't a penalty. 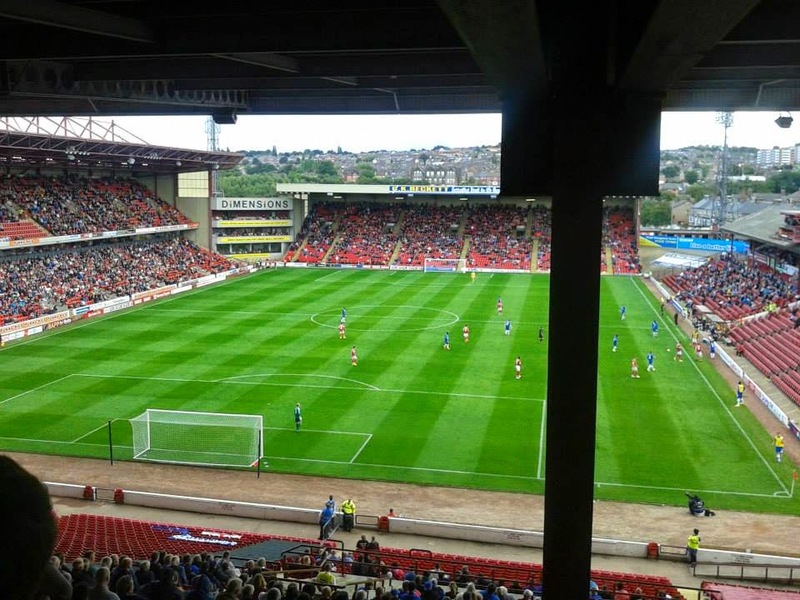 Moore made it 2, and now it became a mountain to climb. 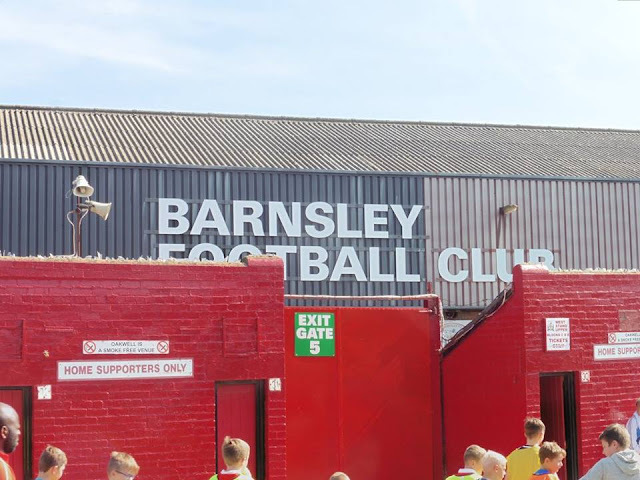 2nd half, we pulled one back through a scrappy goal, a tap in from Josh Parker a player I felt was awful all game but a goal's a goal, won't complain. 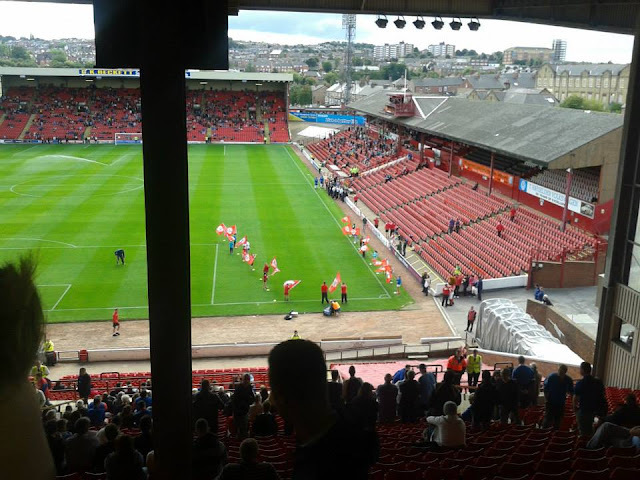 The winless run continues at Oakwell, and a game I felt we deserved to lose in. 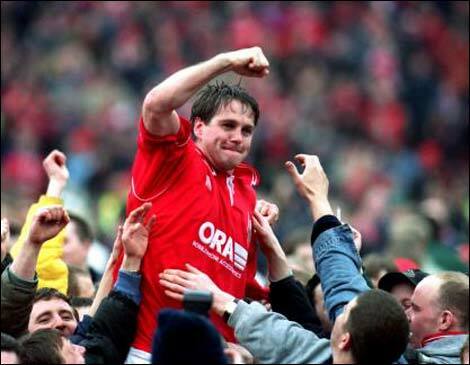 Even when we pulled one back, there wasn't any pressure at all. 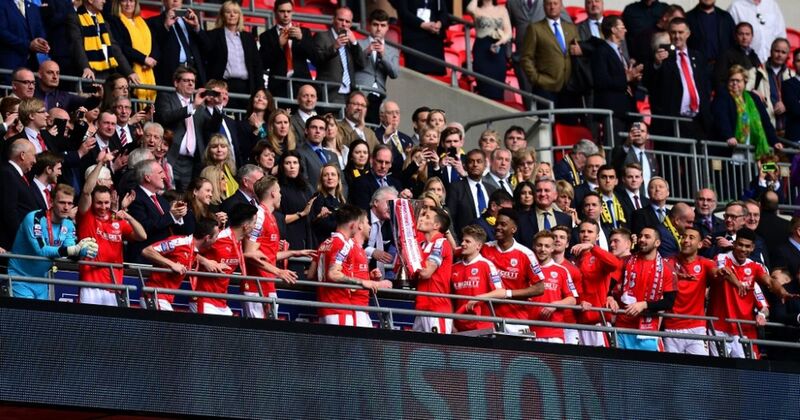 Slipping to 12th in the league now, but hoping soon our form gets back on track. Afterwards I arrived home shortly after 10pm and only pleasing thing was it was good to do a re-visit at Oakwell.